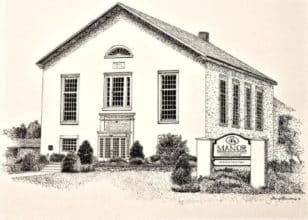 Manor, previously named Faggs Manor after Sir John Fagg(e) and originally called Londonderry Presbyterian Church, was organized in 1730, making it the third Presbyterian Church established before the American Revolution. Originally a log cabin, the building in which the church gathers now, after four buildings and additions, is made of stone covered by stucco. The land on which this church is built is a small portion of 30,000 acres that William Penn left for his two children. The eastern portion of the acreage was given to his daughter Letitia in 1701, and was named Fagg's Manor because Sir John Fagge was William Penn's neighbor in England before he came to Pennsylvania. Faggs Manor's first minister, Reverend Samuel Blair, came in 1740 after ten years of prayer for a pastor. It was during his time here that the second meeting house was erected to accommodate the rapidly growing congregation gathering to hear Blair preach. Ever since Manor's beginning, God has done great works for His kingdom in and through this church. Rev. 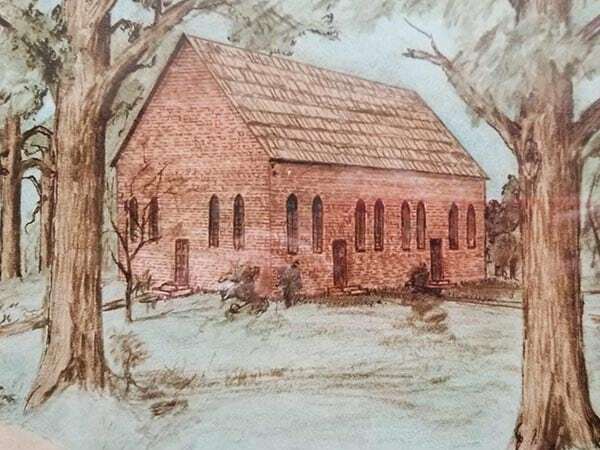 Blair graduated from William Tennent's Log College before coming to Faggs Manor, and later opened the first established school in Chester County, his own log college to train men for the Presbyterian ministry, bringing Presbyterianism to Western Pennsylvania. Even well-known Rev. George Whitfield preached here twice in 1740, once to twelve thousand people who had congregated to receive the gospel. As the service of God's men and women continues at Manor today, the rich history of this church family is a blessing as well as a testament to the unfailing promises of Christ.